Ambah designs contemporary knitwear patterns with a nod to retro and geometric design—patterns that are straightforward to make and fun to wear. Ambah spends much of her time dreaming about her next favourite shawl, the accessory she most loves to design, knit, and wear. Making is her happy place and has been since she was a girl surrounded by the chaos of her mother’s textile art and design. Her mother had a basket of fabric that was taller and longer than Ambah that she could literally dive in! Ambah has a background in painting and a passion for color and interesting design. In knitting Ambah has found a craft that resonates deeply within her. 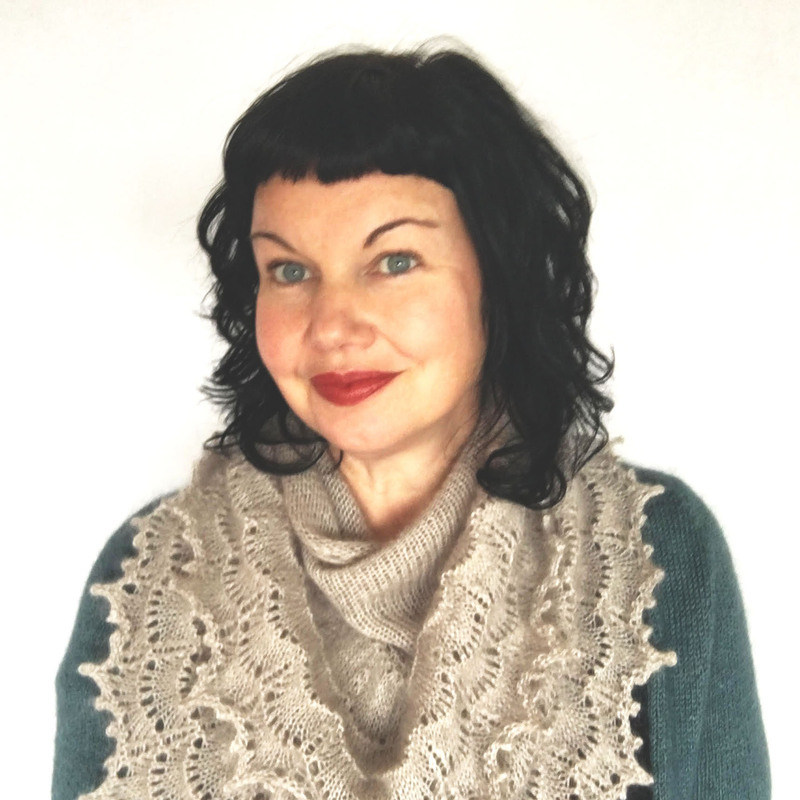 Her knitting designs come from both a practical need: wanting to create items for herself and others to wear and also a compulsion to express myself creatively. She is influenced by everything around her; fashion, nature, beautiful yarn, favourite artworks. Recently Ambah has developed and launched a range of “Knit Bling” beautiful accessories for knitters including shawl pins, enamel pins, tools, and stitch markers. When not designing she’ll be wandering about her vegetable garden, nearby bush, or perhaps a little escape to the beach. Ambah lives in a regional town in Australia with a vibrant artistic community, with her architect partner and their beautiful son.